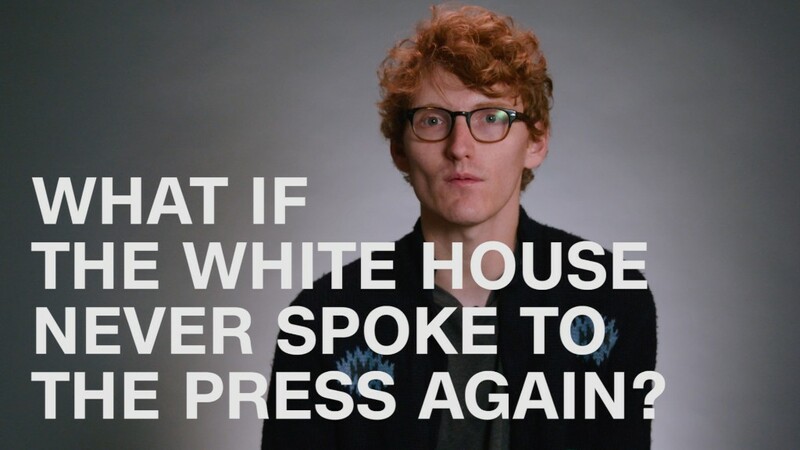 What if the White House never spoke to the press again? The White House press briefing has seen better days. Lately, in fact, the briefing is often not seen at all. For four days last week, representatives for President Trump skipped the usual on-camera briefing to take questions off-camera. This wasn't the first time the White House had taken this step, but this month has brought an added twist. 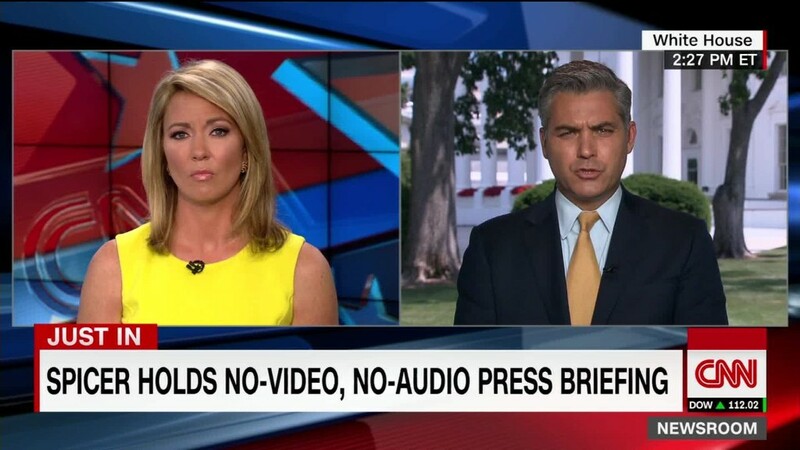 In response to networks like CNN that decided to broadcast audio of the briefing, even without a visual to accompany, the White House barred attendees from doing that, too. Monday's briefing -- the White House termed it a "gaggle," a more informal set-up, though it took place in a format much like a briefing -- was likewise off-camera, with audio broadcasting forbidden. Even when they have done on-camera briefings, White House press secretary Sean Spicer and his occasional fill-in, deputy press secretary Sarah Huckabee-Sanders, have done their part to further marginalize the briefing, routinely responding to reporters' questions by professing ignorance. "I don't know," Spicer said last Monday, during the only on-camera briefing of the week, when asked if Trump would make good on his word and testify under oath on the Russia investigation. "I have not had a further discussion with that." Spicer took questions for less than 15 minutes that day, which is not atypical lately. Brevity has become perhaps the defining feature of the briefing these days. The White House did not respond to questions about the audio policy. Spicer said that the latest briefing on Monday was off-camera because Trump made two comments that day. "I've said this since the beginning. The president spoke today, he was on-camera," Spicer said. "He will make another comment today at the technology summit. And there are days that I'll decide that the president's voice should be the one that speaks and iterate his priorities." The Washington Post's Paul Farhi quantified the collapse of the briefing last week, noting that Spicer and Sanders held 53 "official briefings and 'gaggles,' informal, untelevised Q&As with small groups of reporters" in Trump's first 100 days in office. In the subsequent 43 days, Farhi said, Spicer and Sanders held only 15. The Trump administration telegraphed changes like these back in December, when White House chief of staff Reince Priebus said his team was considering "a lot of different ways that things can be done." At the time, Trump spokeswoman Hope Hicks bristled at the notion that such changes to the briefing could have a "chilling effect" on the press. "Chilling effect?" Hicks told CNNMoney. "How do you know these are not positive changes that will delight the press?" But reporters are feeling the chill now. And the ongoing deterioration of the briefing has many media observers wondering if the briefing will eventually die out. The White House press briefing dates back to the presidency of William McKinley, and it has become a hallmark of American politics. But count Larry Sabato, the director of the University of Virginia's Center for Politics, among those who believes we would be better off without it. "Particularly in this administration, most of what you hear in a press secretary's press conference, in that daily briefing, is misrepresentations, outright lies, and propaganda. And, on the whole, I think people would do better without that," Sabato said. "There are dozens and dozens of reporters, with a lot of experience," he added. "[Without the briefing] they would have additional time to work their own sources, and maybe sources outside the administration would come up with better stories." But Martha Kumar, a professor who studies White House communications, disagrees. She said that the briefing is useful for both the press and the president. "The briefing is an opportunity to hold people accountable, and just knowing that reporters are going to ask questions, that becomes part of policy thoughts and discussions within an administration,'" Kumar said. "So, from that vantage point, it's very useful for the president and for his White House staff. It's also useful for reporters because reporters can let the White House know what issues are going to be coming up and how people are interpreting what it is they're doing." Dan Pfeiffer, a former White House communications director under President Barack Obama who occasionally conducted the press briefing, said that while it isn't always a pleasant exercise, it is a fundamental part of governing. "Most days you don't want to do the press briefing. It's a pain, there are a bunch of questions that you don't want to answer," he said. "The press is bored and they want to torture you, but it's part of the job. It's an important part of purely governing because governing is also about just communicating, interacting with the public, and the press briefing is one of the ways in which that happens."